Portrait of the Hon. G.C. 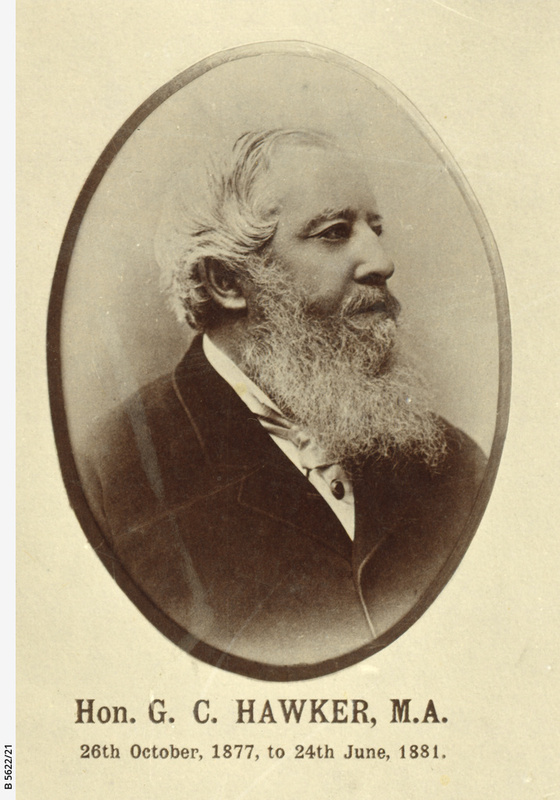 Hawker, Commissioner of Public Works of South Australia from 26 October 1877 to 24 June 1881.